Is it still small? beautiful? critical? possible? What is the link between the little detail and the big pattern, or the connection between the building of structures over time and the movements across space? The answers to these fundamental questions take surprising and wondrous turns as we follow the trajectories outlined by George E. Marcus. 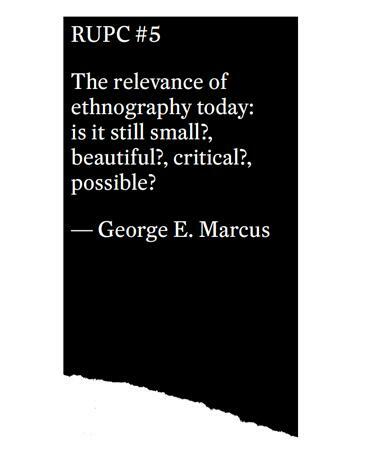 The answers to these fundamental questions take surprising and wondrous turns as we follow the trajectories outlined by George E. Marcus. in its context but not to be copied, not at least until another Picasso emerges.